Celali revolts (Turkish: Celalî ayaklanmaları), were a series of rebellions in Anatolia of irregular troops led by provincial administrations known as celalî, against the authority of the Ottoman Empire in the 16th and 17th centuries. They arose partly as an effort to attain tax privileges. The first revolt termed as such occurred in 1519, during sultan Selim I's reign, near Tokat under the leadership of Celâl, an Alevi preacher, and the name of the chief rebel was later used by Ottoman histories to define other uprisings of similar nature. Major Celali revolts occurred in 1526–28, 1595–1610, 1654–55, and 1658–59. Although the ethnic factor in these rebellions comply with the general Ottoman pattern of intermixtures, they can be safely described as having a largely Turkic base, especially in relation to the semi-nomadic or nomadic Turkmen clans that had taken part in the building of the empire with their Ottoman kinsmen, and saw themselves increasingly distanced from the power base, the central authority relying more on the devşirme system and corps. These rebellions are the largest and longest lasting in the history of the Ottoman Empire, had a serious impact on the levying and collecting of the taxes and taken a heavy toll for its Turkmen inhabitants. The distinguishing characteristic of the revolts was that although they initially started out as a civil unrest in reaction against deteriorating living conditions, in time rebellious groups turned out against the people to be oppressors claiming land from common people, and such caused the continuation of the revolts to be against them. The major uprisings involved the sekbans (irregular troops of musketeers) and sipahis (cavalrymen maintained by land grants). The rebellions were not attempts to overthrow the Ottoman government but were reactions to a social and economic crisis stemming from a number of factors: a depreciation of the currency, heavy taxation, a decline in the devşirme system by admission of Muslims into the army, and an increase in the number and dominance of the janissaries (sultan's household troops) both in the capital Constantinople and in the provinces. Oppressed peasants and declining timariot system. The Ottoman taxation system was based on agriculture and the major share was collected off from peasants toiling for the local feudal lords who were in turn taxed by the local government to pay the muqata'ah. When tax rates were raised for the local governors due to devaluation of the currency and enormous expenses of the state caused by newly conquered lands and military campaigns, the feudal agricultural lords illegally increased the amount of tax they demanded from the peasants. In the meanwhile, land evaluators started to demand bribes to refrain from assessing higher values for land value taxes. Consequently, many peasants started to quit being laborers for feudal lords, emigrating to larger provinces either to join governors' forces as sekbans or to become vagabonds (levends). These numerous peasants were required to pay even further taxes for disrupting the system, but still, the population increased in large cities and unemployment rate increased sharply. During wartime the sekbans served the governors and drew regular pay. In peacetime, however, they were not paid, and they resorted to banditry. The first rebellions were, in nature, merely raids by sekbans commanded by their governors and joined by levends to extort more money from the public. They were later joined by sipahis, who had lost their land grants, levends, Turkmen/Yörük and Kurdish nomads. Degenerate officials. With the decline of the devshirme governor system, and high taxes, the governors and local officials increased their unofficial tax rates and started to exploit the workforce of the peasants. In parallel to these developments, bribery increased. Oppressed Alevis and increasing non-Turkic influences in the royal court. When Selim I conquered Egypt, he was invested with the caliphate and became the holy ruler of the Sunni world. 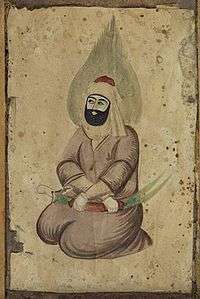 He resolved to put down the Safavid ruler Shah Ismail I whom he viewed as the leader of the "heretic" Shiites, and thus Selim cooperated with feudal lords in violently suppressing the Alevi population in Anatolia, at the same time started a war against Ismail. Many Alawites and those who felt close to Shah Ismail for his Turkic origins consequently joined the rebellious groups. While Selim I was on his Egyptian campaign, an Alevi preacher named Celal gathered about 20,000 people near Bozok (current day Yozgat) and marched to Tokat to foment riots. He also had restless Turkmen groups joining his forces. Sekbans, sipahis who had lost their timar (fief), highly taxed peasants and discontented townspeople also marched to Tokat. Selim I sent the Grand Governor (Beylerbeyi) of Rumelia Ferhad Pasha and the bey of Dulkadirids, Şehsuvaroğlu Ali over to quell the rebels, and Celal was killed. However unrest did not subside, especially within the Turkmen community, the sekbans and the sipahis. In the region corresponding to today's Mersin Province, the increase of land taxes by the local clerk, and the harsh attitude of decadent tax collectors caused Baba Zünnun and some other local religious leaders start a revolt against the feudal lord, the bey of Bozok. The local clerk and the leaders of the rebellion were killed and the clashes subsided. During the reign of Sultan Suleiman the Magnificent, at a time when the empire suffered financial hardships due to military campaigns, an inventory of the taxed lands was ordered to increase state resources. Many of the evaluators assessed much higher values for the lands to levy more tax and to keep a part for themselves. While Suleiman was campaigning in Hungary, disgruntled masses near Ankara and Kırşehir revolted under the leadership of a former sipahi called Kalender Çelebi. Their number rapidly grew to 30,000. With the news of the large scale of the rebellion, Suleiman sent the Grand Vizier Ibrahim Pasha with the kapikulu forces mostly composed of Janissaries. A big battle took place on May 27, 1528 and the revolt was bloodily suppressed. Especially after the 1550s, with the increase of oppression by local governors and levying of new and high taxes, minor incidents started to occur with increasing frequency. After the beginning of the wars with Persia, especially after 1584, Janissaries began seizing the lands of the peasants to extort money, and also lent money with high interest rates, thus causing the tax revenues of the state to drop seriously. In 1598 a sekban leader, Karayazıcı Abdülhalim united the dissatisfied groups in the Anatolia Eyalet, forcing the towns to pay tribute and assumed the role of the governor of a small district. However, he denied turn the district over to his successor; instead he rebelled and killed the new officer with the help of rebellious levends and peasants. He was offered the governorship of Çorum, but refused the post and when Ottoman forces were sent against them, he retreated with his forces to Urfa, seeking refuge in a fortified castle, which became the center of resistance for 18 months. Out of fear that his forces would mutiny against him, he left the castle, was defeated by government forces, and died some time later in 1602 from natural causes. His brother Deli Hasan then seized Kutahya, in western Anatolia, but later he and his followers were won over by grants of governorships. The Jelali unrests, however, continued under the leadership of Janbuladoglu in Aleppo and Yusuf Pasha and Kalenderoğlu in western Anatolia. They were finally suppressed by the grand vizier Kuyucu Murad Pasha, who by 1610 had eliminated a large number of Jelalis. Griswold, William J. The Great Anatolian Rebellion, 1000-1020/1591-1611 (Islamkundliche Untersuchungen), 1983. K. Schwarz Verlag. ISBN 3-922968-34-1. Aktan, Coşkun Can, Prof. Dr.; Dileyici, Dilek; Saraç, Özgür. Osmanlı Tarihinde Vergi İsyanları. http://www.canaktan.org/canaktan_personal/canaktan-arastirmalari/maliye-tarihi/osmanli-isyan.pdf . Retrieved September 12, 2004. David F. Burg, A world history of tax rebellions.